StyleID is a new app that lets you browse through the outfits of characters on a TV show and purchase ones you like. Say you're watching an episode of Glee and you like the dress that Rachel (played by Lea Michele) is wearing, but you're not sure who makes it and where to buy it. StyleID, a new Kitchener, Ont.-based startup co-founded by Sarah Juma and Rachel Nicole, sprang out of a frustrated quest to find an outfit. "We watch far too much TV, and one afternoon we were sitting there watching shows, and we were, like "That outfit would be absolutely perfect for the next meeting that we have,'" said Juma. 'So we were online, Googling and looking for this outfit and it was impossible to find, so we thought of StyleID. We thought: 'Wouldn't it be cool if there was an app for that?" Juma contacted the costume designers for TV shows to find out what outfits the characters were wearing, relying on what she calls their "fantastic memories" to catalogue clothing and accessories. Essentially, the app is a giant database of clothing, with links to online stores. To find a piece of clothing that your favourite TV character is wearing, browse through episodes by air date to locate that exact item. Wandering through episodes by date is similar to strolling the aisles of a virtual department store. 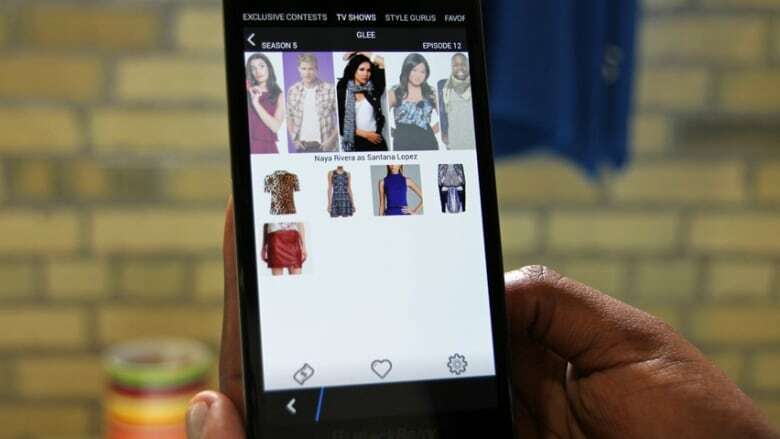 Juma's app makes money when users click through to the online store to purchase the clothing. Currently there are 21 shows available on the app, including Glee, The Young and The Restless, House of Cards, The Carrie Diaries and Pretty Little Liars. Juma plans to expand to include more TV shows and movies for fall, and eventually branch out into homewares. The StyleID app is available for Android and BlackBerry on Thursday, and should be available on iOS by mid-July.